Acai berries are the fruit of a palm mainly from South and Central America. Acai puree is often found in airtight packages in the freezer section of the grocery store. Choose the unsweetened versions, so that you can add your own optional sweetener to taste. 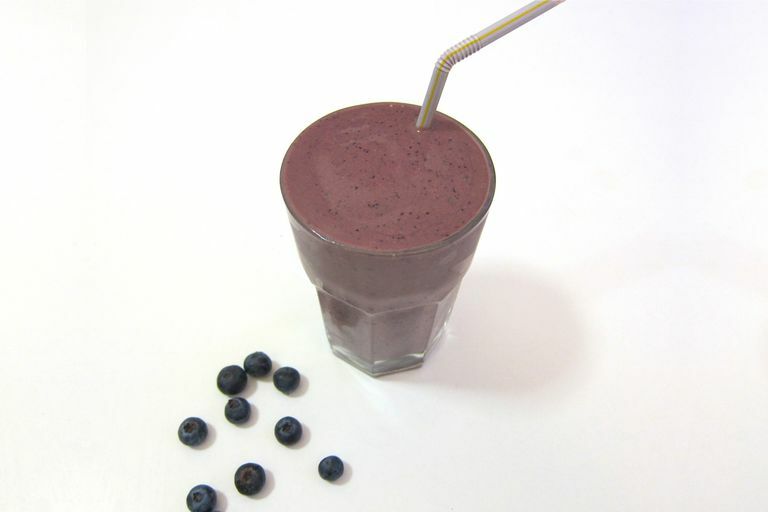 This smoothie contains a mix of acai, blueberry, and banana as well as stick-to-the-ribs peanut butter and omega-3 fatty acid containing chia seeds. Blend with a glug of calcium and protein-rich low-fat milk and sip with a colorful straw. 1. Place all ingredients in a blender and blend until smoothie. Add a straw and serve. Instead of a smoothie, turn this into an "acai bowl." Use only half a cup of milk for a thicker consistency, then pour the mixture into a bowl. Top with additional sliced banana, blueberries, and chia seeds. You could even add a few pinches of unsweetened coconut flakes, antioxidant-rich goji berries, cacao nibs, or homemade granola. Add a pinch of your favorite toppings all over the top of the smoothie bowl, or neatly separate each topping into lines for a streamlined look. Eat with a spoon. Make this smoothie in the evening, pour into a to-go cup or mason jar, and store in the refrigerator overnight. The next morning, your breakfast is already made so you can literally just grab it from the fridge, add a straw and re-stir the smoothie, and be on your way. Now there's no excuse for skipping breakfast.